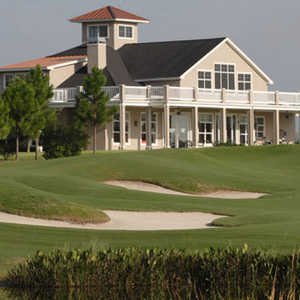 The 18-hole Turtle Run at Sun 'n Lake Golf & Country Club in Sebring, FL is a semi-private golf course that opened in 1999. Designed by Charles Ankrom, Turtle Run at Sun 'n Lake Golf & Country Club measures 6402 yards from the longest tees. The course features 4 sets of tees for different skill levels. The greens are tiftdwarf bermuda grass and the fairways are 419 bermuda grass. 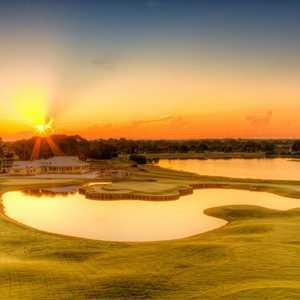 The Sun ‘N Lake Golf Club is home to two outstanding golf courses – Deer Run and Turtle Run – northwest of Sebring FL in the unincorporated community of Sun ‘N Lake. 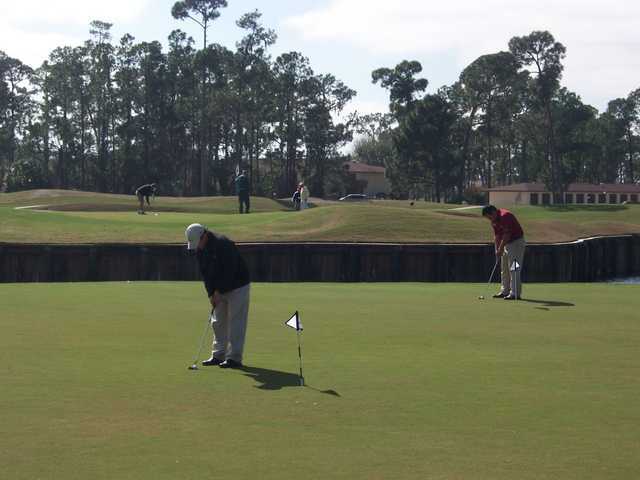 Either course will put your golf game to the test. Of the two courses, Turtle Run is the shorter – 600 yards shorter – from the back tees. Turtle Run plays 6,402 yards from the back tees with a course rating of 70.7 and a slope of 127. 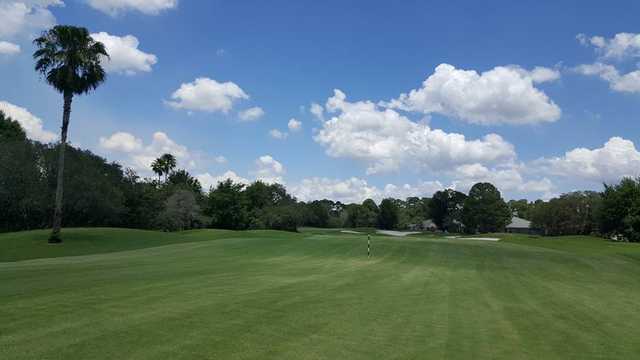 The greens are Tiftdwarf Bermuda grass, and the fairways and roughs feature 419 Bermuda grass. 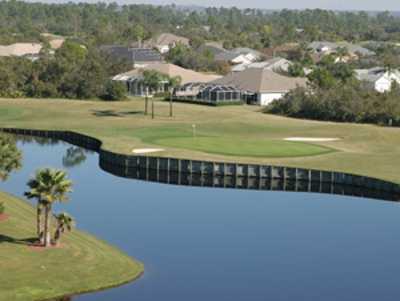 The par 72 Turtle Run course opened in 1999 and was designed by Charles Ankrom. 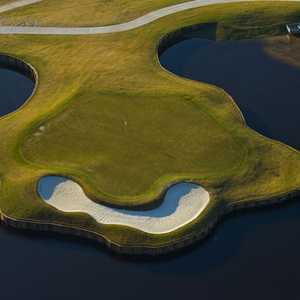 Turtle Run boasts brains over brawn; knowing when to hit driver – which may not be that often – and when to play position. One interesting fact about Turtle Run is that it is built in the middle of a Scrub Jay preservation area and provides a sanctuary for this protected species as well as a beautiful setting for the golf course. Be careful not to enter the preservation areas and help keep the Scrub Jays safe. Most Memorable Hole: Number 14, Par 5, 481 yards (White Tees). As you can see from the length, it’s definitely not the longest par 5, but for a number of players it’s going to take driver out of your hand off the tee because of a stream that crosses the fairway about 250 yards out. If you play down the left side of the fairway, the creek runs away and you can get 260-280 yards before you get to the wet stuff. A good line off the tee is the bunker on the right. Keep right with your layup to keep the water on the left out of play and then hit your approach shot to a slightly elevated green but beware of the deep, large bunker in the front left. A better than average score is possible here. Favorite Par 4: Number 5, 329 yards (White Tees). This hole is all about trust. You can’t see the green from the fairway, so you just have to trust yourself off the tee and hit it straight. The lone palm tree off in the distance is a good line but requires a carry of nearly 200 yards. A good tee shot will leave an approach shot just short of 100 yards to a slightly elevated, multi-tiered green. 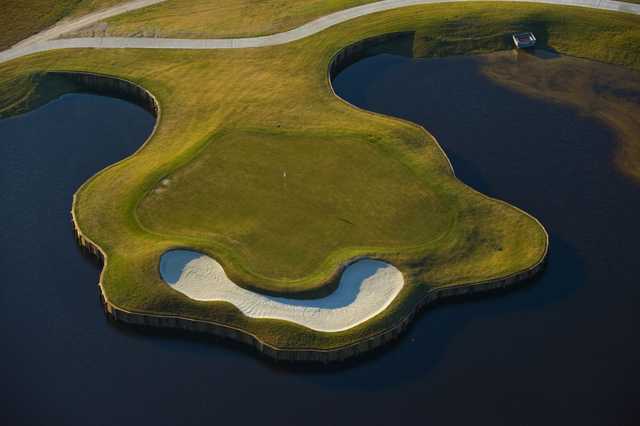 Favorite Par 5: Number 1, 489 yards (White Tees). Playing down the left side of the fairway is the best way to play this opening hole; just be sure to avoid the fairway bunker. Continue playing down the left side and you’ll keep the water out of play on your layup shot and have a fairly short pitch shot into a small green protected by sand and a lake on the right and another bunker on the left. Par is a good way to start off your round. In addition to two top-notch golf courses, Sun ‘N Lake has a great practice facility located across the parking lot from the clubhouse. The driving range is big enough to hit every club in the bag. Inside the clubhouse you’ll find a pro shop stocked with all of the latest equipment and logoed apparel as well as the Island View Lakefront Restaurant and Pub, a great place to grab some good food and drink after your round. The restaurant is open from 11am – 8pm Monday – Saturday and 11am – 6pm on Sunday. Last Word: Playing Turtle Run for the first time was a pleasant surprise. The course is not going to overpower the majority of golfers, regardless of the tees you choose. From the White Tees, plan on leaving your driver in the bag the majority of the day. Of the par 4 holes, 2 are in excess of 360 yards; only one is over 400 yards. The par 5 holes are pretty modest too, only one over 500 yards. For the most part, the tee shot landing areas are generous, the greens are incredible and the emphasis is on the short game. Some greens are open in front and receptive to the senior-friendly bump-and-run shot, but the majority are elevated with bunkers in front and require you to carry your approach on to the green. Distance is also key as many greens have multiple tiers and being on the same tier as the hole can shave several strokes. Turtle Run is a lot of fun to play regardless of your ability. It will challenge not only your physical ability but also make you think your way around the course.